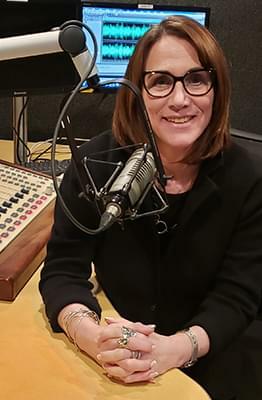 her radio news career as news anchor and morning co-host. at stations in Worcester, Boston, Springfield and Concord, NH. She left radio and worked for one of the world’s largest public relations agencies. all while keeping one eye on local, regional and national news. and some who may be behind the scenes. where guests tell the story behind the story. healthcare, education, art/culture, transportation and more. 3/31/19 – A Home Run for Worcester! 3/10/19 – Recovery Renegades – Veterans Inc. Guests: Denis Leary, Exec. Dir., Veterans Inc.
Erin Daley Stelmach – Dir. Communications and Community Outreach, Veterans Inc.
2/10/19 – Anti-Poverty Programs and What Poverty Looks Like? 1/6/19 – Fake News? Real News? No News? 11/18/18 – PawSox Update/What’s in Store for the Region’s Economy – Taxes, Housing and more!